Home » Bollywood News » Coolie No. 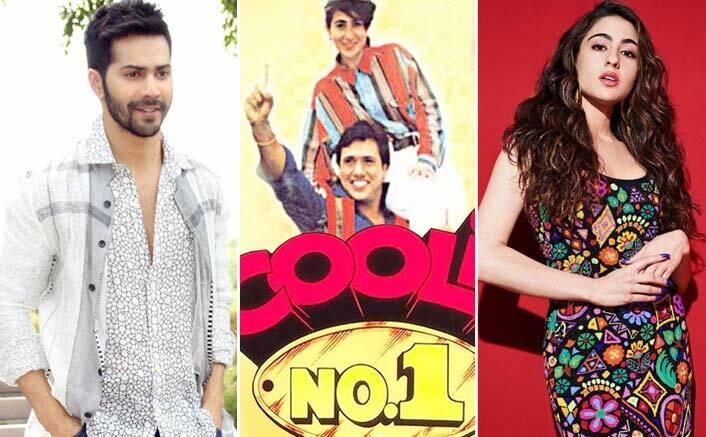 1 Remake: Varun Dhawan Gets His Leading Lady In THIS Newbie! The writer further got emotional while sharing a memory associated with his father and the Govinda starrer. The father-son duo of David Dhawan and Varun Dhawan is all geared up to entertain the audiences with a remake of the classic hit, Coolie No.1. The movie is expected to start rolling during July, this year and according to the latest report, the newbie Sara Ali Khan is locked to reprise the role of Karisma Kapoor in the remake. Farhad Samji of the renowned writer duo Sajid-Farhad, shared the news about his reunion with Sara after Simmba, while talking to Mumbai Mirror. “It is a boon for any writer to work with a dedicated actor like Varun. I narrated the dialogue draft to him recently and he immediately asked me for a copy, so he could rehearse his lines even though there is still time for the film to go on the floors. I am looking forward to teaming up with Sara for the second time”, shared Farhad. “I was hopping from one studio to the next when I happened to bump into Salman (Khan) who introduced me to David ji. He took me on as the lyricist for one of the songs of Hum Kisise Kum Nahin. The film was initially supposed to be made with Salman, but he opted out and was replaced by Sanjay Dutt. With Salman’s exit, I thought even my song would be dropped. But both Salman and David ji promised me that it would be filmed on Sanjay. It marked my arrival in the industry”, he further added about his first break given by David. “We have written it keeping the sensibilities of today’s audience in mind. It will have plenty of humour and colour, larger-than-life songs and will be mounted on a lavish scale. We are still contemplating locations, it could be shot on home ground or even set abroad”, adds Farhad. Farhad talked about the proclamation of the project and signed off. He quoted, “We intend to roll with this film in a couple of months, there is a lot of pressure, as we are coming on a big festival like Eid”, Samji signs off.